Azerbaijan Republic State Committee on Property İssues Unified State Cadastre of Real Estate is the Foundation for transparent registration in Azerbaijan. 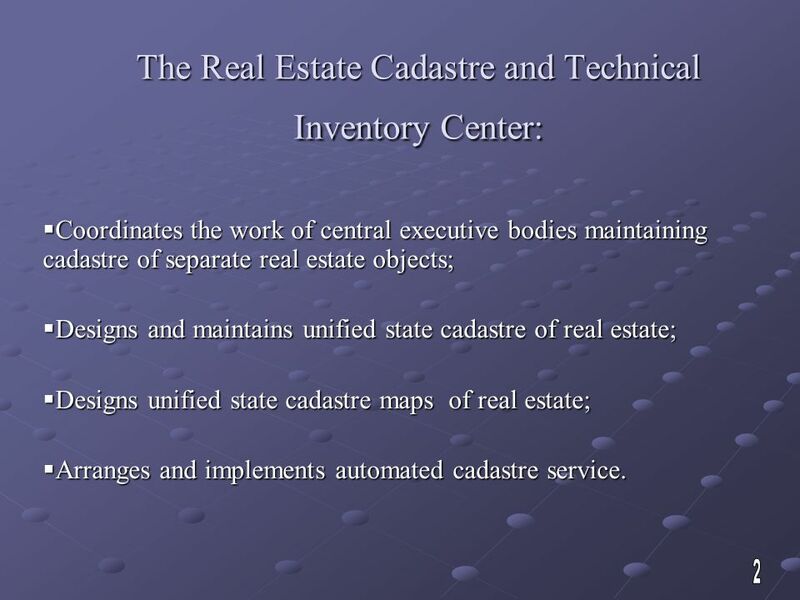 3 The Real Estate Cadastre and Technical Inventory Center:  Coordinates the work of central executive bodies maintaining cadastre of separate real estate objects;  Designs and maintains unified state cadastre of real estate;  Designs unified state cadastre maps of real estate;  Arranges and implements automated cadastre service. 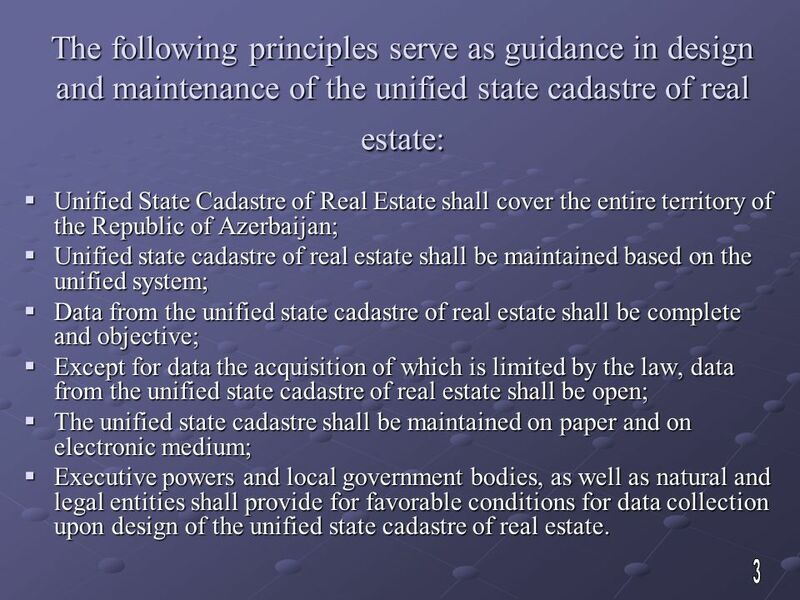 4 The following principles serve as guidance in design and maintenance of the unified state cadastre of real estate:  Unified State Cadastre of Real Estate shall cover the entire territory of the Republic of Azerbaijan;  Unified state cadastre of real estate shall be maintained based on the unified system;  Data from the unified state cadastre of real estate shall be complete and objective;  Except for data the acquisition of which is limited by the law, data from the unified state cadastre of real estate shall be open;  The unified state cadastre shall be maintained on paper and on electronic medium;  Executive powers and local government bodies, as well as natural and legal entities shall provide for favorable conditions for data collection upon design of the unified state cadastre of real estate. 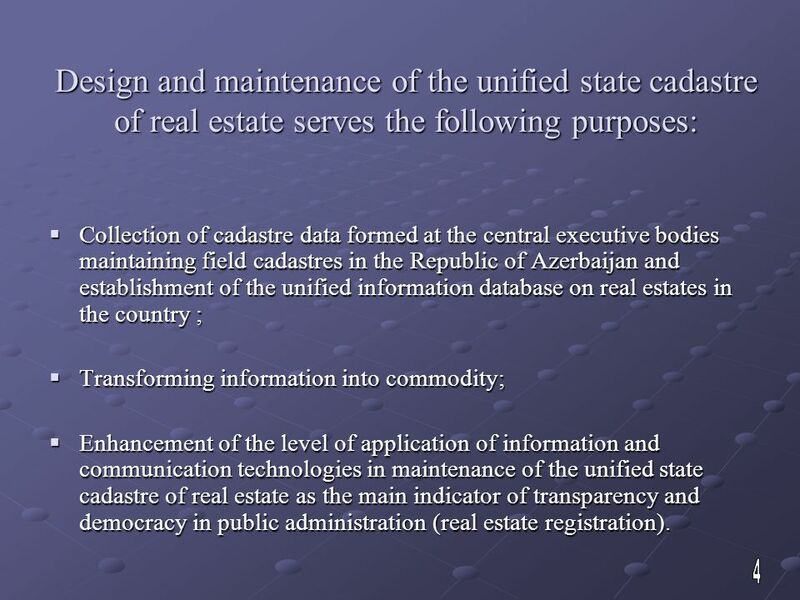 5 Design and maintenance of the unified state cadastre of real estate serves the following purposes:  Collection of cadastre data formed at the central executive bodies maintaining field cadastres in the Republic of Azerbaijan and establishment of the unified information database on real estates in the country ;  Transforming information into commodity;  Enhancement of the level of application of information and communication technologies in maintenance of the unified state cadastre of real estate as the main indicator of transparency and democracy in public administration (real estate registration). 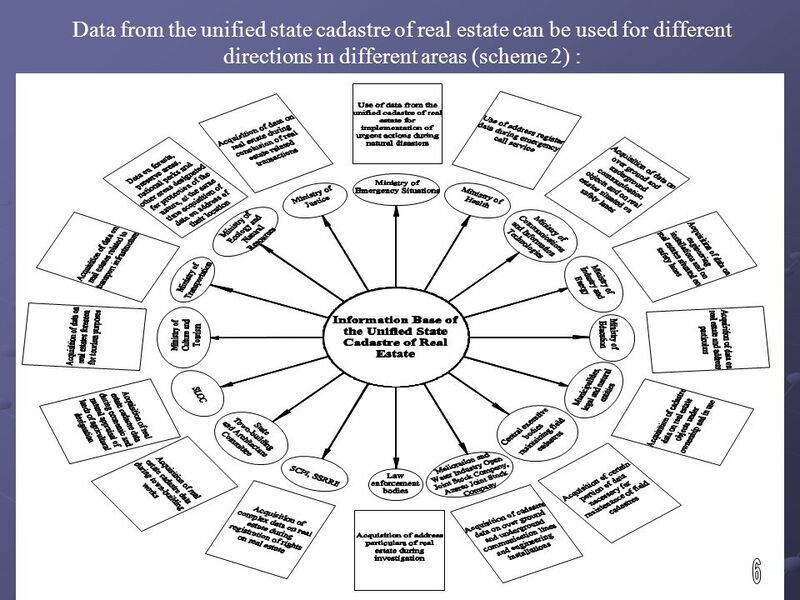 6 All the data incorporated into the unified state cadastre of real estate are combined and form the unified information system. 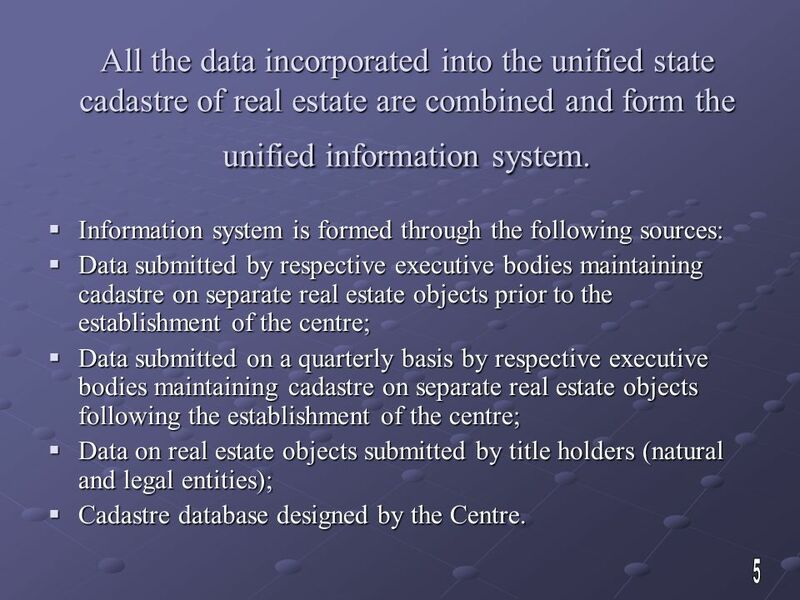  Information system is formed through the following sources:  Data submitted by respective executive bodies maintaining cadastre on separate real estate objects prior to the establishment of the centre;  Data submitted on a quarterly basis by respective executive bodies maintaining cadastre on separate real estate objects following the establishment of the centre;  Data on real estate objects submitted by title holders (natural and legal entities);  Cadastre database designed by the Centre. 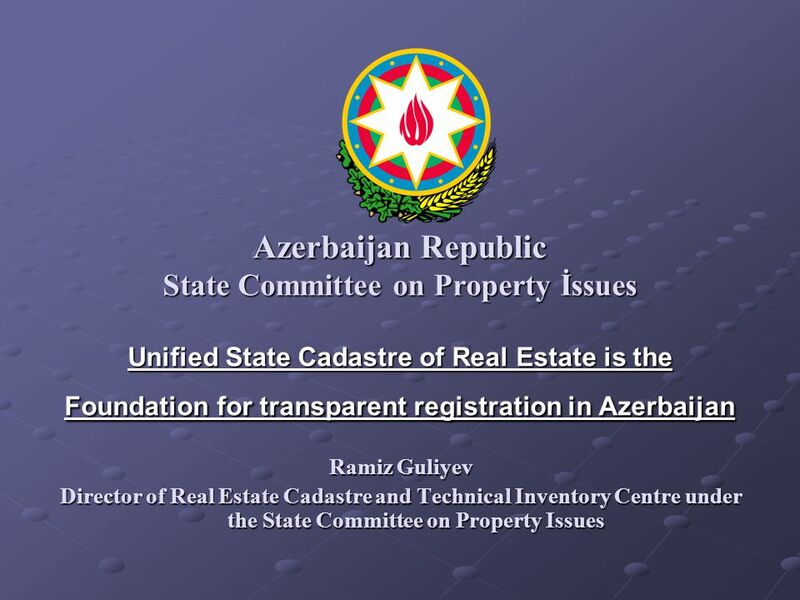 Download ppt "Azerbaijan Republic State Committee on Property İssues Unified State Cadastre of Real Estate is the Foundation for transparent registration in Azerbaijan." 1 United Nations Economic Commission for Europe Committee on Housing and Land Management and its Working Party on Land Administration: Experiences with. Establishing a self-sustaining registry: Georgia's experience World Bank, Washington DC 24 April, 2012 The world Bank Annual Conference on Land and Poverty. 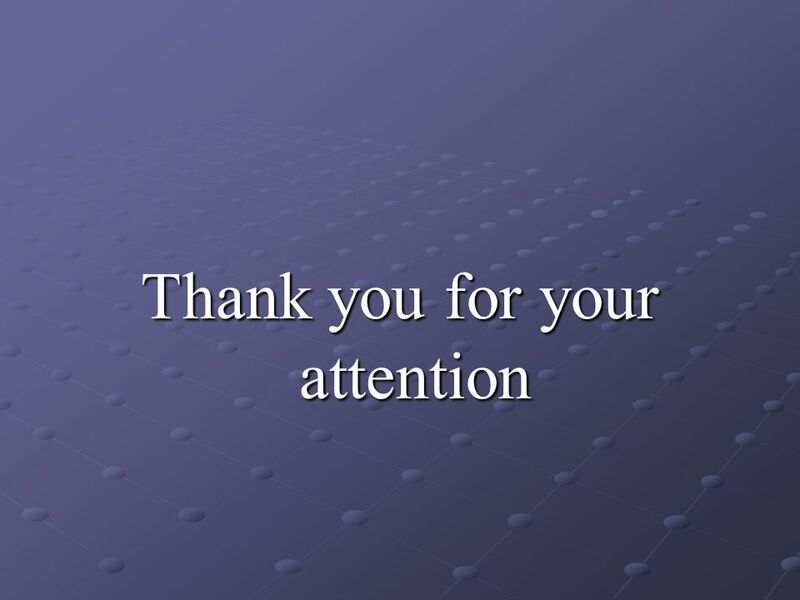 Portfolio Management, according to Office of Management and Budget (OMB) Circular A-16 Supplemental Guidance, is the coordination of Federal geospatial. Draft Law on Amendments to the Law on planning and construction Republic of Serbia Ministry of Construction, Transport and Infrastructure. 1 Licensing in the Energy Sector Georgian National Energy And Water Supply Regulation Commission Nugzar Beridze June 27 – July 3, 2008. Cefic model SIEF Agreement: benefits and practical aspects CEFIC Legal Aspects of REACH Issue Team (LARIT) June 2009. E-Government Development in the Processes of the State Land Service Maija Bērziņa, Deputy Director General, the State Land Service, Latvia. Estonian e-Cadastre Information System and Land Cadastre Act 2013 Riga. Legal and Institutional framework for land and real estate property markets in Hungary András Osskó COST Workshop SOPRON, Hungary October 2003. ORGANISATION AND MANAGEMENT OF SYSTEMATIC CADASTRAL RESURVEY AND LAND BOOK RENEWAL IN CROATIA DAMIR PAHIĆ, STATE GEODETIC ADMINISTRATION, ASSISTANT DIRECTOR. Responsibilities and Organizational Structure of Ethiopian Vital Events Registration Agency December /2014 Addis Ababa. 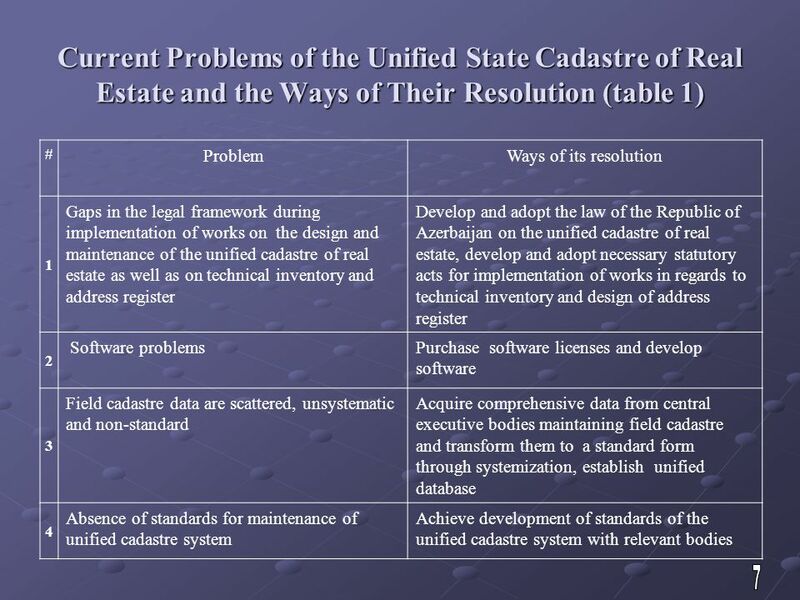 Information System of Cadastre of Real Estates of the Czech Republic as a tool supporting Real Estate Market Vít Suchánek Czech Office for Surveying, Mapping. Maja Pupačić, dipl.ing.geod. Workshop on Efficient and Transparent Land Management in ECE Countries Baku, March Republic of Croatia State Geodetic. 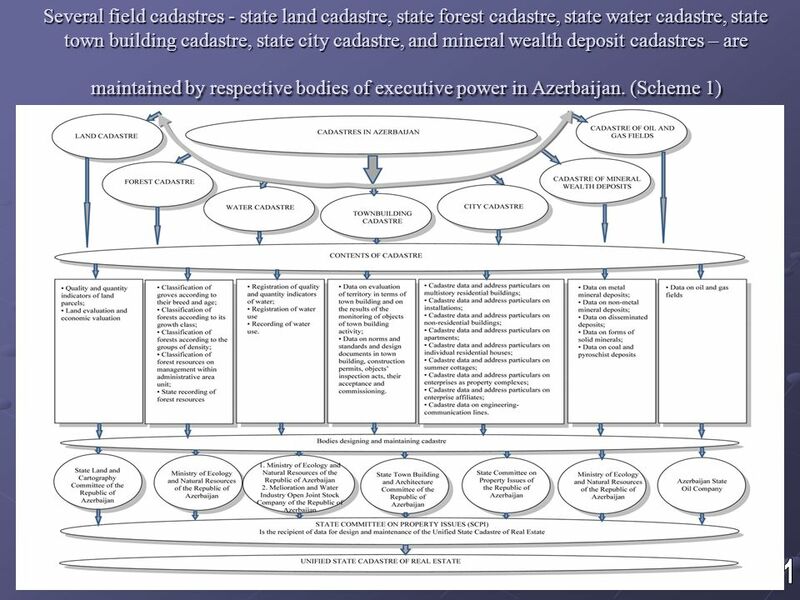 Real Estate Registration System in the Republic of Azerbaijan (reforms and historical development) by Garib Hasanov REPUBLIC OF AZERBAIJAN STATE SERVICE. IEKA - Albanian Institute of Authorized Chartered Auditors Towards application of new standards on accounting and auditing – Albanian challenge on implementing. M O N T E N E G R O Negotiating Team for the Accession of Montenegro to the European Union Working Group for Chapter 4 –Free movement of capital Bilateral.